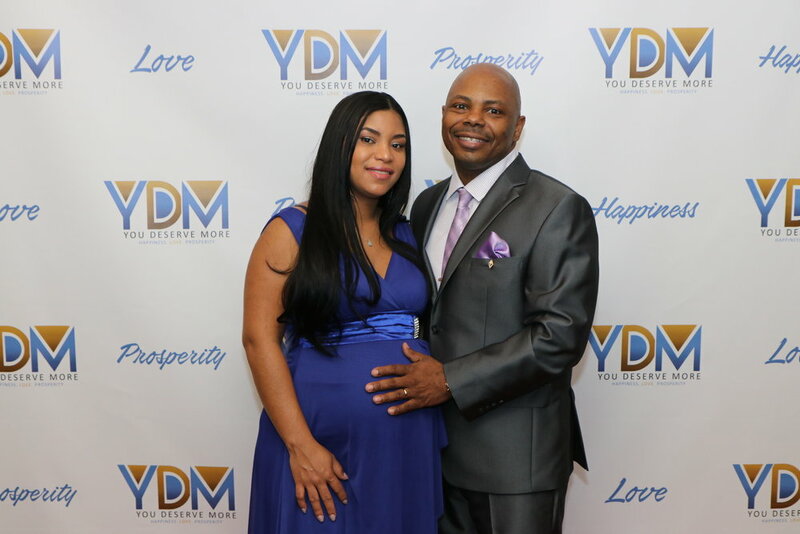 The YDM film and program was birthed on January 23, 2018 from a conversation that Dr. Buckingham had with his wife, Sandia who was pregnant with their first daughter Layla. Without hesitation Dr. Buckingham replied, “I am going to produce a film that creates a dialogue about why women settle for less and highlight women who overcame unhappiness, self-doubt, fear, guilt, low self-esteem, loneliness, poverty, domestic violence and abuse by embracing and living in one fundamental truth…they deserved more. Sandia replied, “Then what happens after the film is finished.” Again without hesitation Dr. Buckingham replied, “I am going to create a program where women can explore and resolve emotional and psychological conflicts that inhibit them from getting what they deserve. Dr. Dwayne L. Buckingham is a clinical psychotherapist, relationship expert, speaker, activist, author and, CEO of R.E.A.L. Horizons Consulting Solutions. He has produced three relationship and empowerment best-selling documentaries and has published eleven self-help books. As a result of Dr. Buckingham’s impact on the community as a businessman and philanthropist, he received the 2017 DMV Entrepreneur of the Year Award from VIP Concierge and a Citation from Wes Adams, State’s Attorney Anne Arundel County office. Over the past 20 years, Dr. Buckingham has dedicated his life to helping individuals, couples and families build healthy relationships by providing world-class counseling and training. He is well respected among his professional colleagues and is known as “The Empathy and Resiliency Doctor or The E.R. Doctor”. As a commissioned officer in the United States Air Force for nearly a decade, Dr. Buckingham provided psychological assessments, treatment and psycho-educational training to over 30,000 individuals, couples, groups, and families worldwide. In recognition of his expertise as a superb psychotherapist and consultant, Dr. Buckingham received six Commendation medals, a National Defense Service Medal, a Global War on Terrorism Service Medal and five Achievement/Unit Medals. Dr. Buckingham holds a B.S.W. in Social Work from Jackson State University, a M.S.W in Clinical Social Work from Michigan State University, a Ph.D. in Human Services from Capella University and is Board Certified by the American Board of Examiners in Clinical Social Work. Dr. Buckingham is a highly sought-after consultant, trainer, professional speaker, author, seminar facilitator and relationship coach. He is also a member of the National Association of Social Workers and Kappa Alpha Psi Fraternity, Inc. He resides in Maryland with his wife, Sandia and their son, DJ.